Headquartered in Germany, Siemens is a world-leading PBX communication solution provider. As a global technology powerhouse that has stood for engineering excellence, innovation, quality, reliability and internationality for more than 165 years, Siemens has been dedicated to provide a complete range of services and solutions for worldwide users. 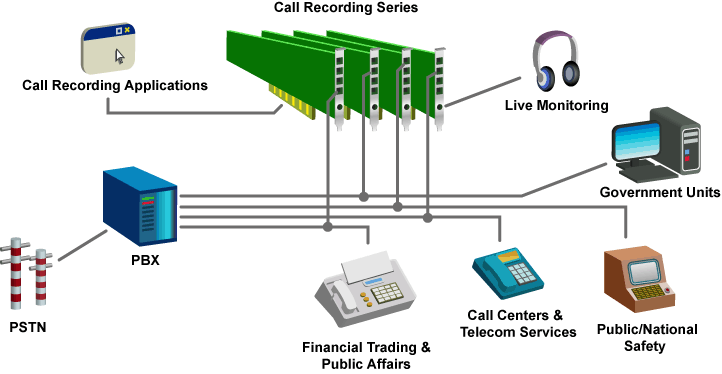 Ever since 2003, it decided to build a long-term strategic partnership with Synway, to offer more versatile, cost effective and robust call recording systems for call centers, banks, enterprises and many others. With 343,000 employees in more than 200 countries, Siemens reported worldwide revenue of approximately $ 98 billion in fiscal 2014. Siemens in the USA reported revenue of $ 22.2 billion, including $ 5.2 billion in exports, and employs approximately 46,000 people throughout all 50 states and Puerto Rico. Facing a large customer base worldwide with diverse needs for various applications, such as public security, banking institutes and call centers, Siemens was expected to provide all value-added services for existing and prospective customers, including call recording, sessions, fax etc. Differentiation became vital and urgent. Siemens had to be creative and forward-thinking in choosing an ideal hardware solution partner for its call recording solution. 1.As a global powerhouse, Siemens had to match the needs of clients and distributors worldwide. To minimize the post-sales expenses, Siemens needed to ensure its solution was stable during warranty period and keep the defective rate under 0.1%. 2.To meet market demands at all levels, Siemens attached great importance to capital expenditure. With more emerging small-to-medium sized call recording companies, Siemens realized that only by offering better products and services at much reasonable price would it cater to various user needs better around the globe and keep the sales growing. 3.The recording solution for Siemens needs to posses good adaptability and be fully compatible with global marketplaces. Normally, the lifecycle of Synway products is 6-10 years under full loading situations. Whenever technical issues came out (design, deployment, development), Synway’s 24*7 online or onsite support could address most of them timely and efficiently. Also, the defective rate within lifecycle could be lower than 0.1%. Synway’s solutions successfully helped Siemens address worldwide customers’ needs, maintaining its momentum among global market and acquire more customers. With a complete range of passively or actively tapping categories, Synway products are compatible with all interfaces, such as IP, T1, E1, Analog, PCM, Radar wireless etc. Also, the half-length compact size makes it easily installed into compact server for space saving. Significant savings on operational cost and after sales costs, improved efficiency and effectiveness.